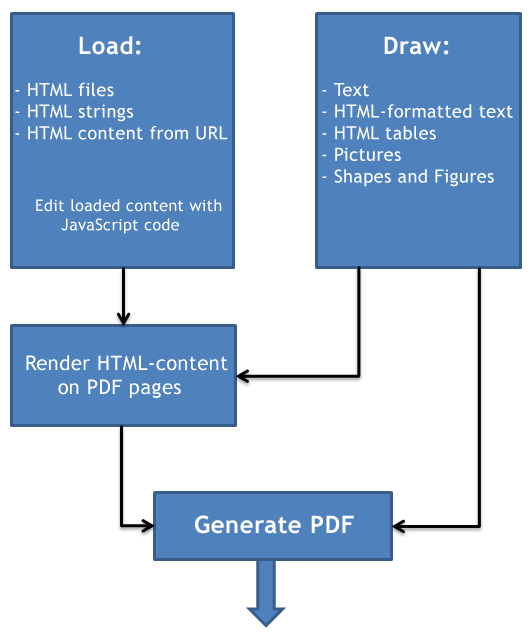 HTML2PDF-X Pilot is a library that helps you to create PDF reports using HTML. It also performs HTML to PDF conversion. You can integrate the library into your application or use it as a standalone product. ✓ Create PDF by directly writing text, HTML-formatted text, HTML tables, or drawings of shapes or pictures (supported formats: .bmp, .gif, .jpeg, .png, .pbm, .pgm, .ppm, .tiff). and find an appropriate tutorial for your application. System requirements: Windows XP/Vista/7/8/8.1/10, Windows Server 2003-2016. No 3rd party software is required. * The bug related to the property PostScriptFormat has been fixed.